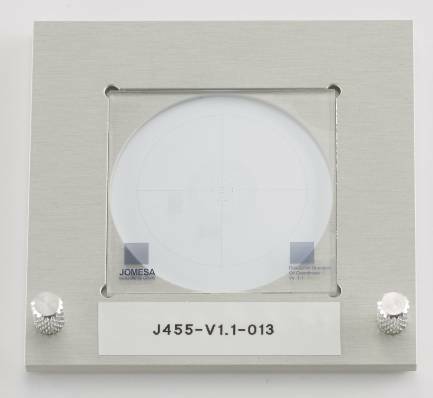 In 2004 JOMESA was the first company to offer a particle standard to control measurement of filters with 47mm diameter. Background with different brightness simulate inhomogeneous background on real filters. This standard – unchanged since 2004 – is usually delivered with a DAkkS calibration certificate, ensuring the trace-ability to national standards. This standard is designed to check particle sizes 50µm up. To control and measure also small particle sizes, a further standard (called system standard) is used. It cantains also scales for microscope calibration. 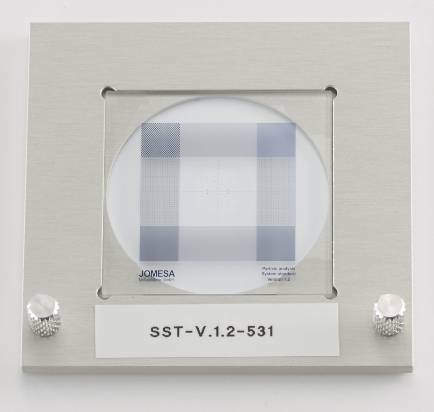 This standard is designed to check particle sizes from 5µm to 200µm. For this standard a DAkkS calibration certificate is available. The standard for determination of cleanliness of oils (DIN 51455) requires a particle standard to ensure the capability of the measuring equipment. This standard is designed for particle sizes from 2µm to 200µm. 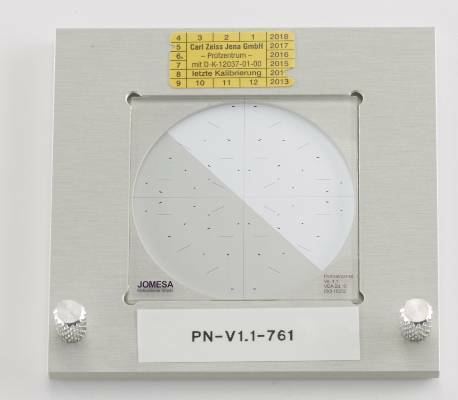 JOMESA is an accredited calibraton lab according to DIN EN ISO/IEC 17025 and authorized to issue DAkkS calibration certificates.